Don't take chances when shipping sensitive cargo by air. 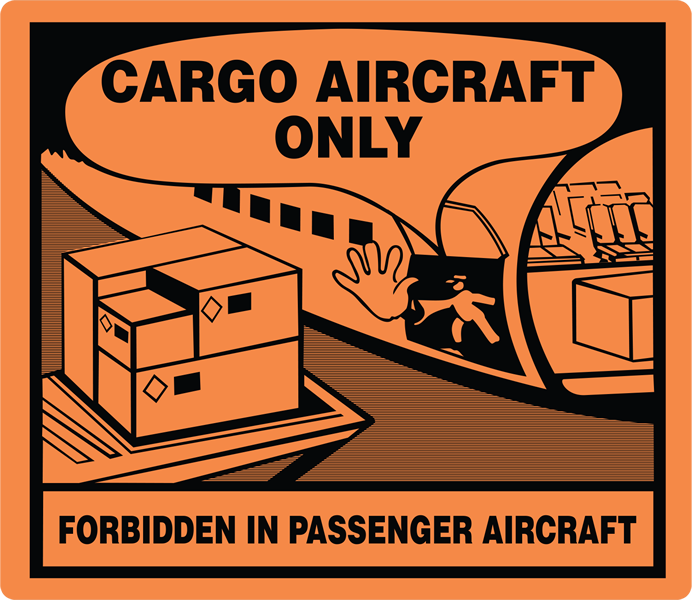 These bright orange Cargo Aircraft Only Labels warn shipping personnel not to load your specified cargo on passenger aircraft. 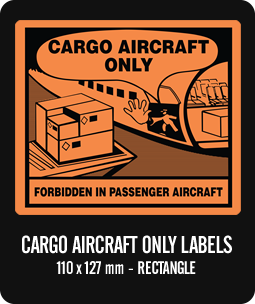 Effective April 1, 2016, these Cargo Aircraft Only labels are required when shipping Lithium Batteries without equipment. Please be sure to check out IATA's Lithium Battery document for more battery regulatory information. 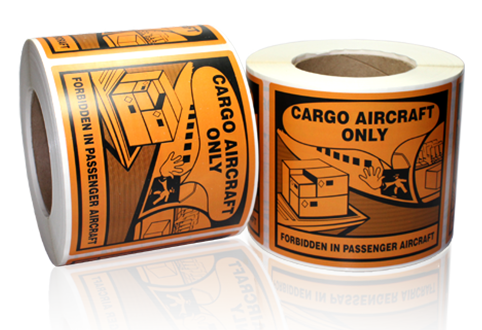 Guru Labels’ Cargo Aircraft Only Labels have been designed and manufactured to meet all current IATA specifications. Our labels have been printed with light-fast inks on high gloss self adhesive label stocks with a permanent adhesive. These labels have been designed to stick on the widest range of shipping and packaging surfaces such as corrugated cartons, satchels, pallet wrap and more.